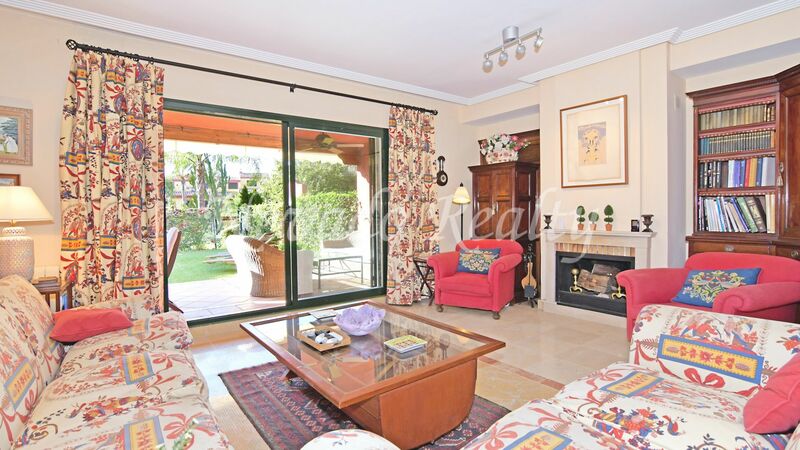 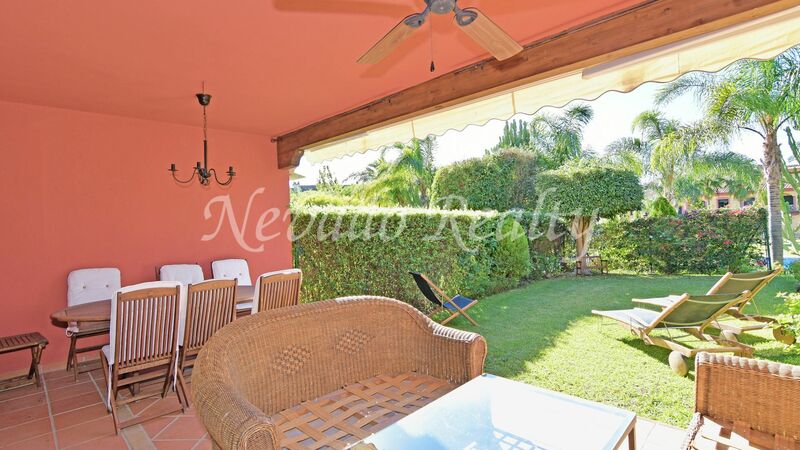 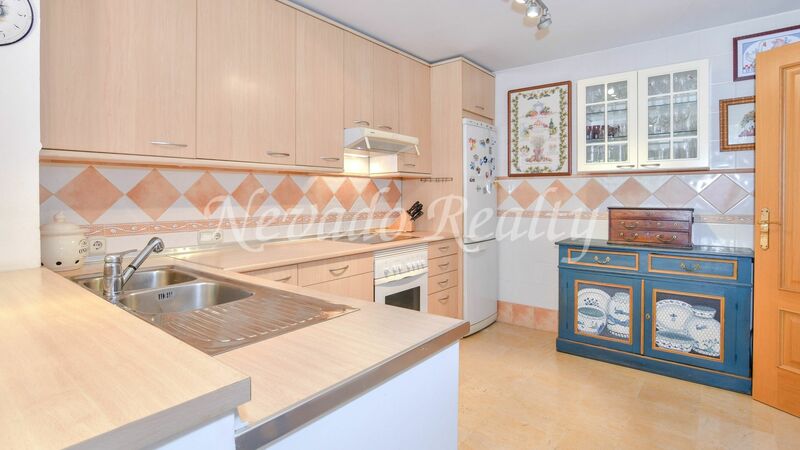 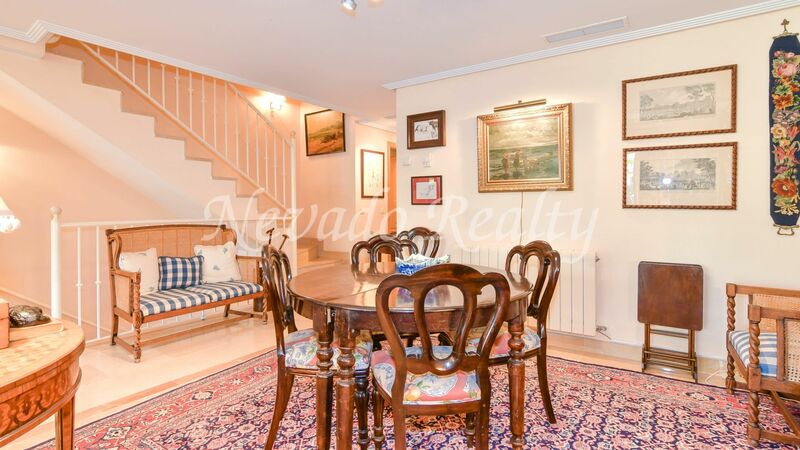 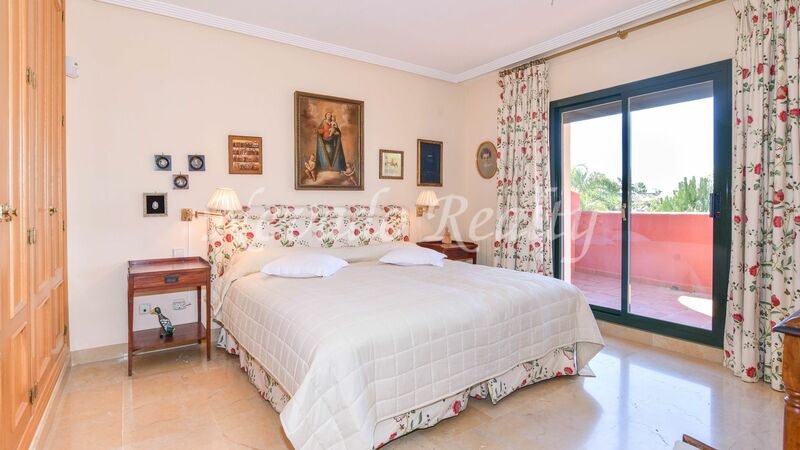 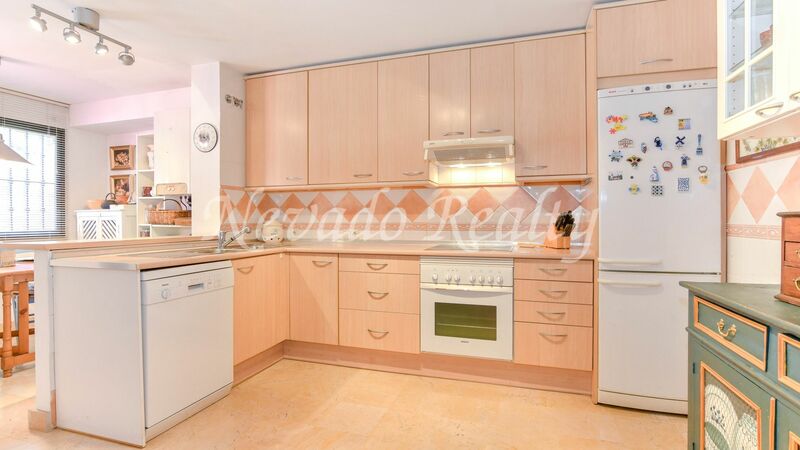 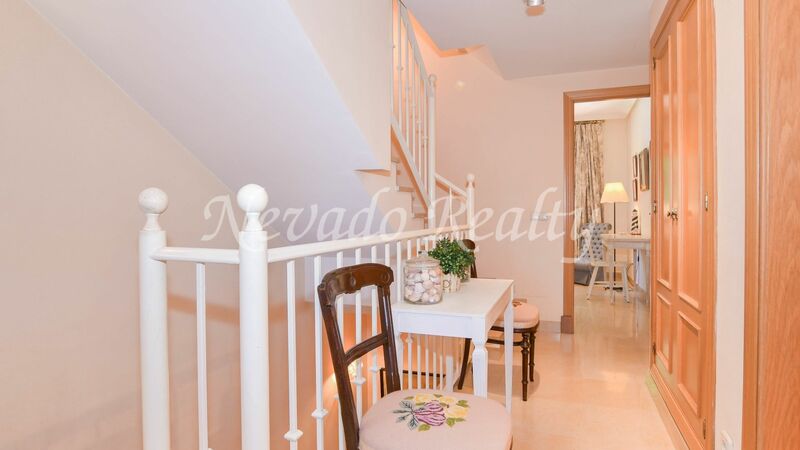 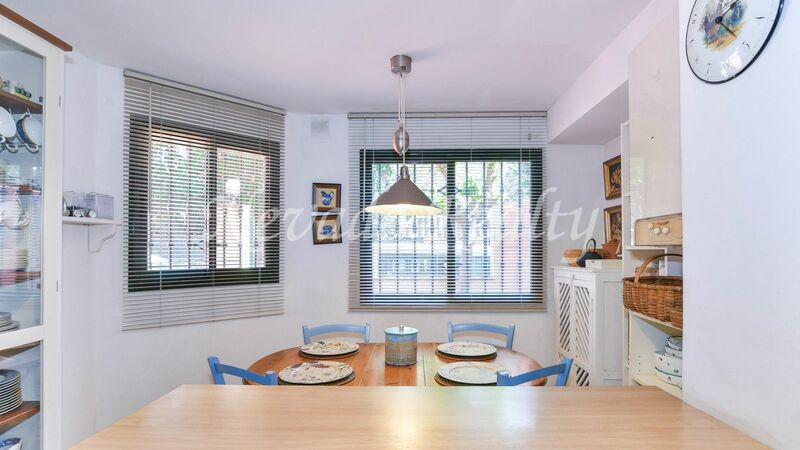 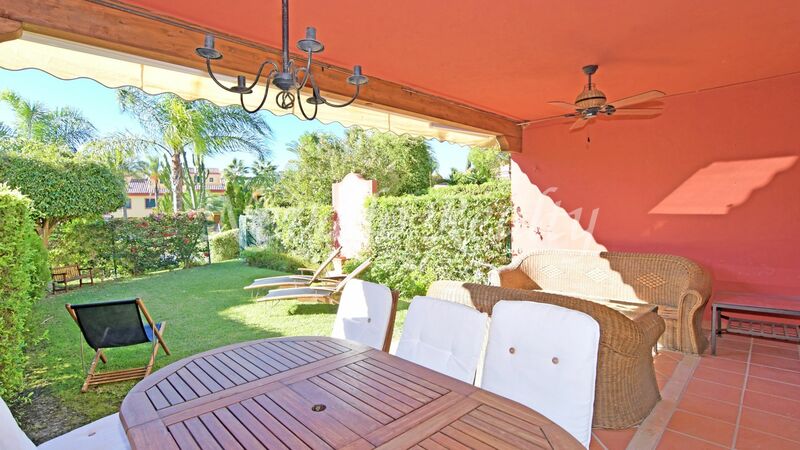 Beautiful townhouse for sale in Jardines de Doña María, a fully enclosed urbanization with extensive tropical gardens, 2 swimming pools, gym, sauna and paddle tennis court, a short distance from the beach, the Hotel 5 * Puente Romano and a wide variety of services such as restaurants, sports areas and beach bars. 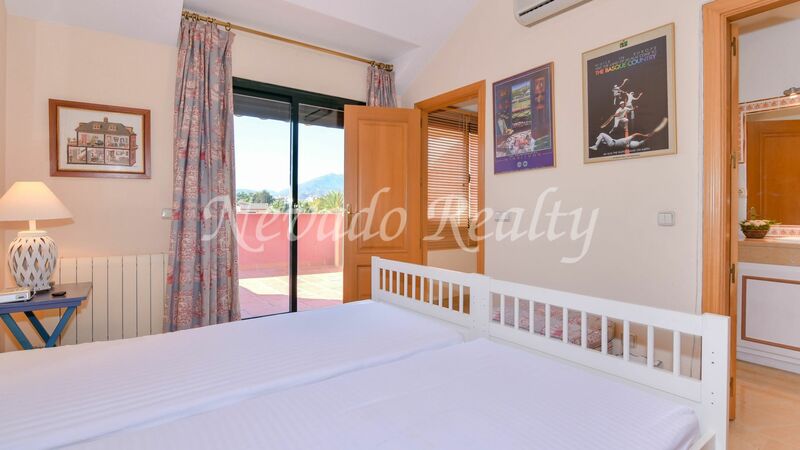 With a nice private garden facing west, consists of entrance, large kitchen with breakfast area, guest toilet, large living / dining room with fireplace and exit to the private covered terrace and garden with direct access to community areas; on the first floor master bedroom suite with Jacuzzi and separate shower, terrace with side sea views and plenty of closets; 2 guest bedrooms and independent bathroom. 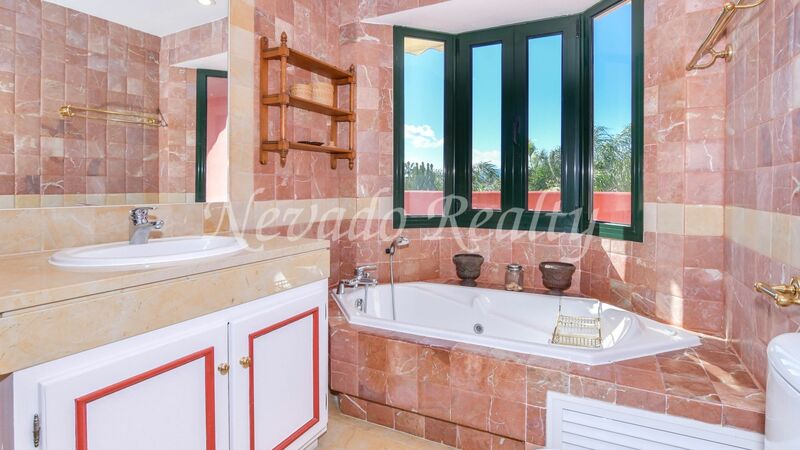 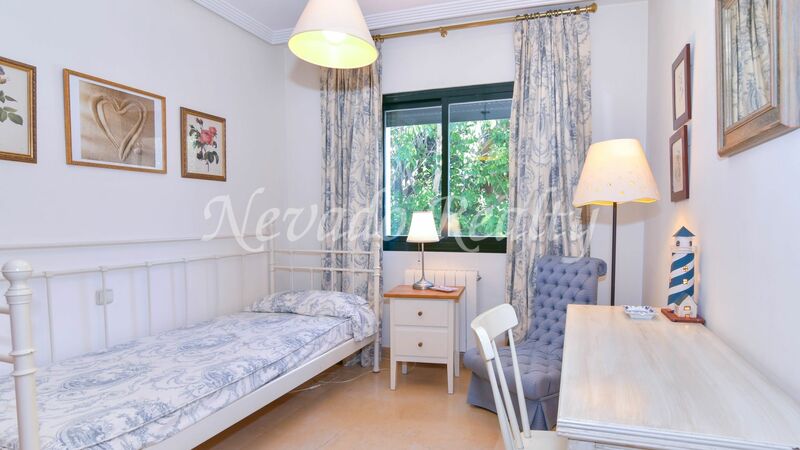 On the upper floor, we find a small hall, bedroom suite with bath and solarium with mountain views. 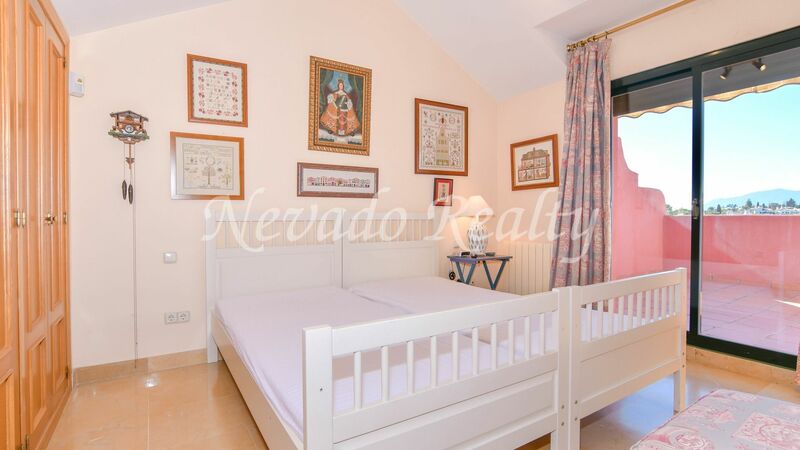 In the basement, a large storage room that can be used as a game/cinema room and direct access from here to the community garage with 2 private parking spaces. 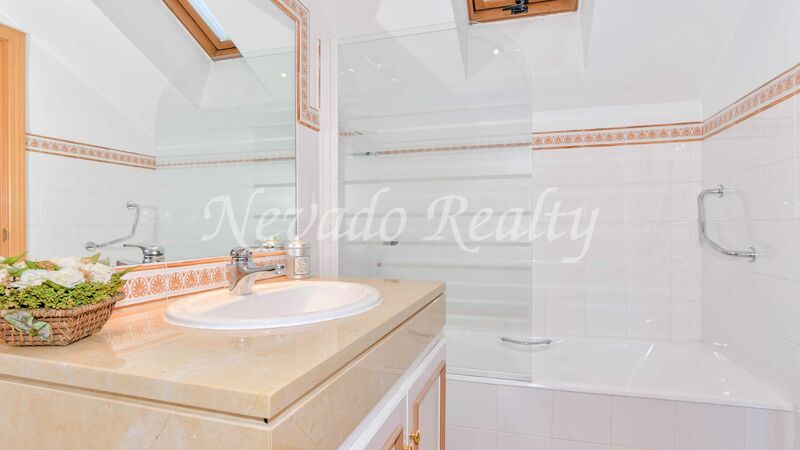 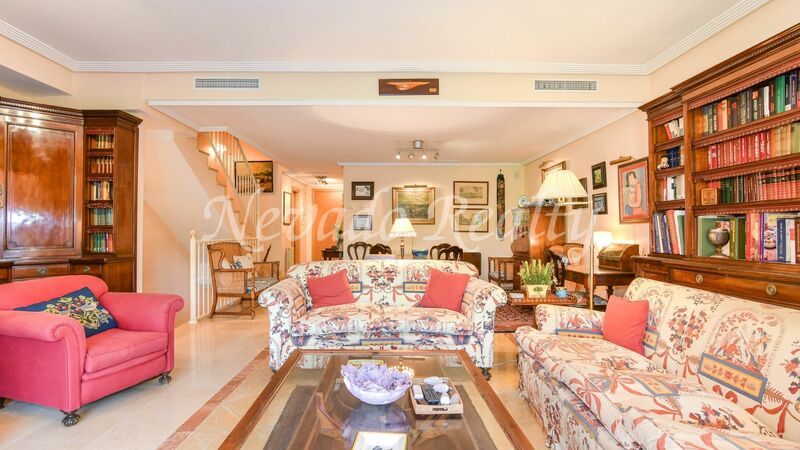 Additional features marble floors, A / C, central heating and fireplace. 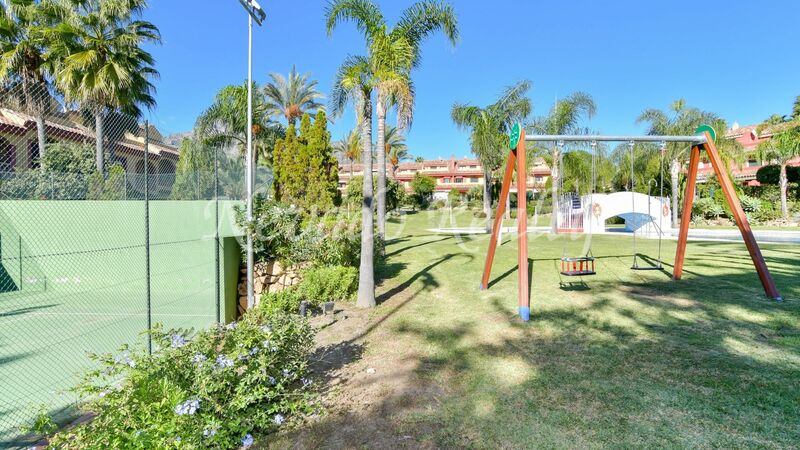 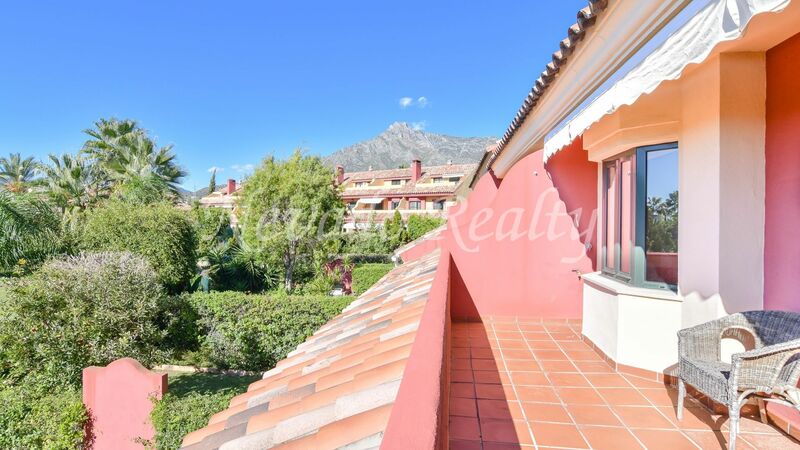 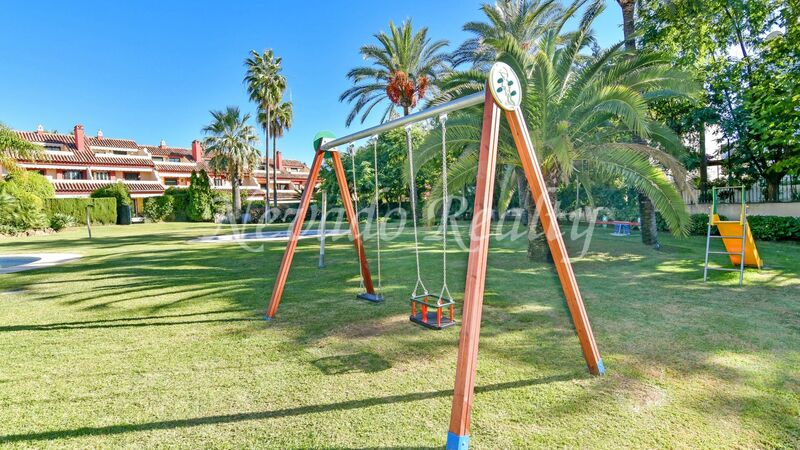 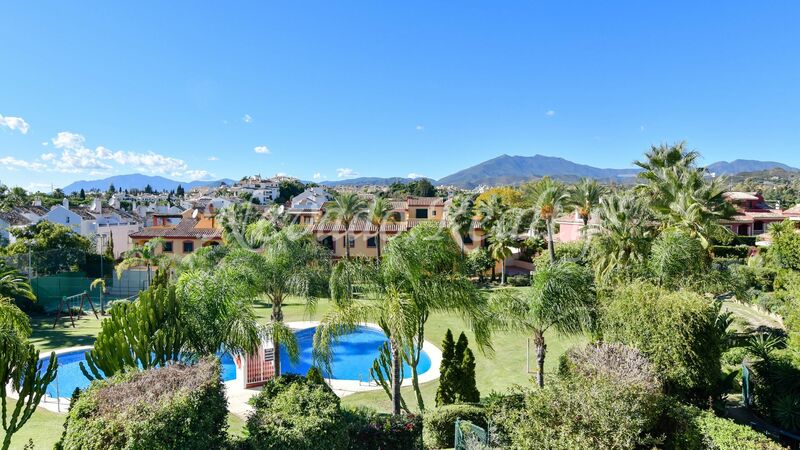 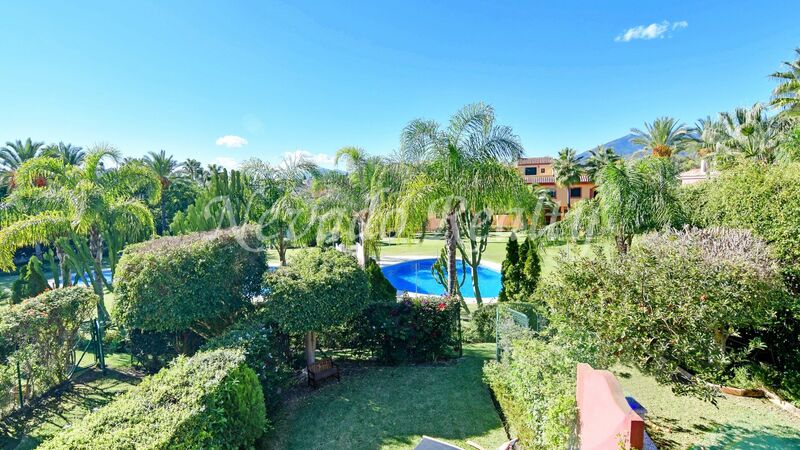 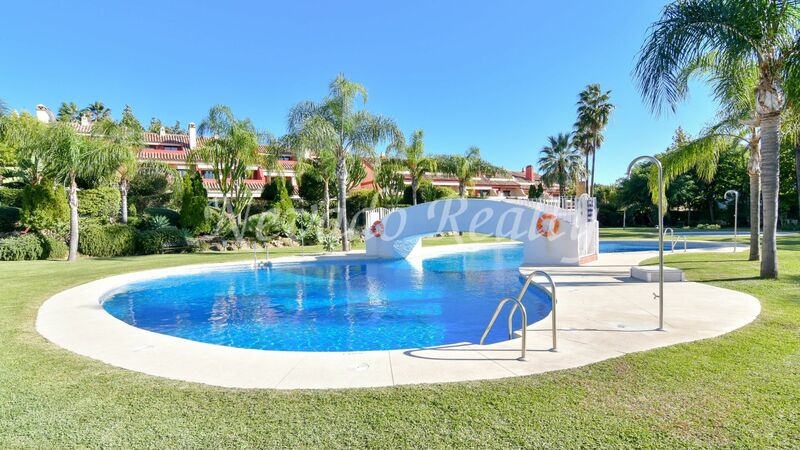 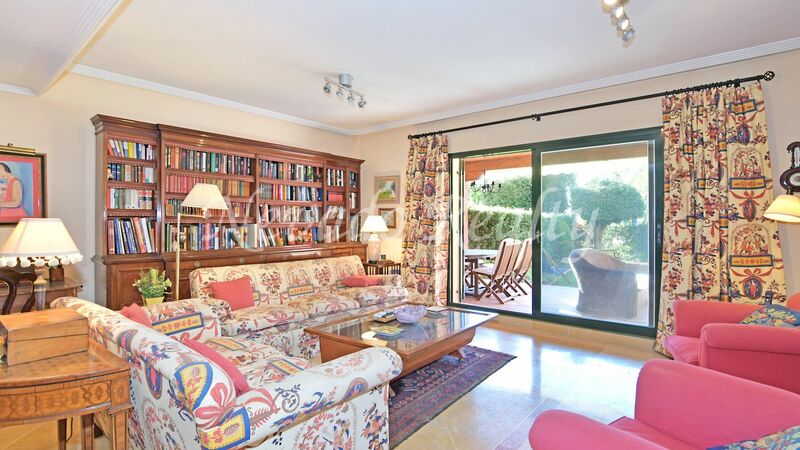 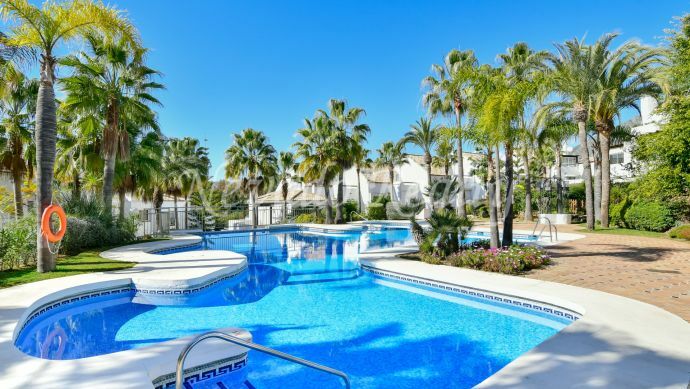 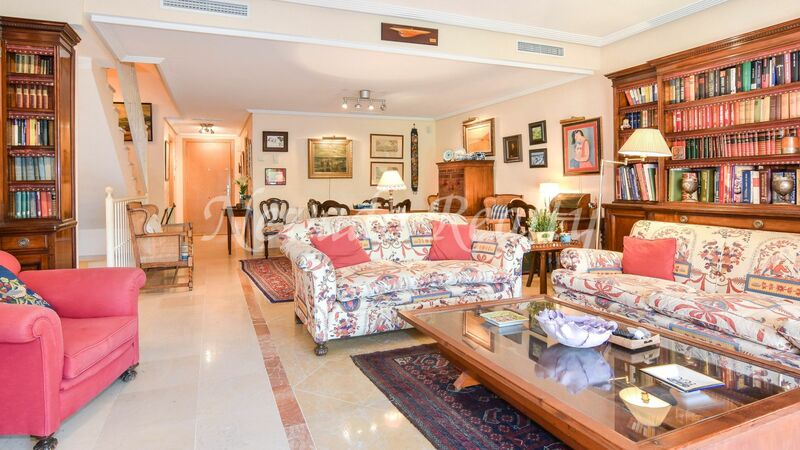 Please send me more information about ref 163-02682P, Town House in Jardines de Doña Maria, Marbella Golden Mile Or similar properties.